raj sherman rocks the establishment with his blunt emergency room email. Edmonton-Meadowlark PC MLA Raj Sherman shocked political watchers and his own party’s establishment this week when he sent out a blunt email taking the government and Alberta Health Services to task over emergency room wait times. Dr. Sherman, a doctor and parliamentary assistant for Heath & Wellness, had been quiet about the wait times situation until this week. Dr. Sherman told CBC that he was on the verge of quitting the PC caucus this week, a road he decided against taking after discussing his concerns with the Premier. I have forwarded many old emails to the current minister and deputy minister to place into context again for the fourth minister, the fourth CEO, and the third deputy minister, the underlying causes of the healthcare system woes leading to the emergency crisis that we have on our hands today (and have had for the past 5-6 years). Many of the emails received by me as section president and as an elected member of the legislature, from our emergency colleagues, were received in confidence and many wished for me to keep their name out of it for fear of what the government or Capital Health and now AHS would do to our privileges. With AHS’ code of conduct, I did not want to put you or anyone at risk. I am sorry that I did not remember our conversation and your willingness to share your name. I am whole heartedly in agreement with you. Three weeks ago, I offered the current minister my resignation as the parliametary assistant as I can no longer support the halthcare decisions made by AHS as well as some of those made by our government. The premier made a promise to the ER doctors in writing and has broken his promise not only to the ER doctors, but also to the seniors, the 1.8 million Albertans who present for emergency care and their 2 million family members, and to all frontline healthcare professionals. I will be meeting the premier today and my progressive conservative caucas colleagues tomorrow to discuss my future in his government as my trust in him and his cabinet is severly tarnished. I must thank you for your passion and your rebuke of me (usually, I got heck for not hiding the names. Ask Chris Evans) as well as your courage to put your neck on the line. It’s time that I also take one for my the team that I trust, the front line ER doctors. Please stay tuned for my public comments. Thank you for reminding me why I ran for public service in the first place! Dear Political colleagues….meet my lifelong physician colleagues. I hope that you don’t mind, I will be passing this letter onto my elected colleagues as well. If it is any consolation, please feel comforted with the fact that I still work on Sundays and see the disaters happening including those of my father where he waits in the emergency room like anyone else….and he has had 5 near death experience this year alone in the emergency departments. A few months ago, his ambulance was diverted from a few blocks near the UofA hospital and he arrived to your emergency department, on the other end of town and had a wonderful tour of South Edmonton when he arrived ashen grey, sweaty, suffocating, with an oxygen saturation of 70% on 16 L of oxygen….and seconds away from death!!! Thanks to the efforts of Dr. Lau Nguyen and the Grey Nuns staff…he lives today, barely! …and please do NOT feel comforted that healthcare will be any better with AHS’ inadequate plan to deal with the crisis and disasters that we will be facing in the 4 winter months ahead. 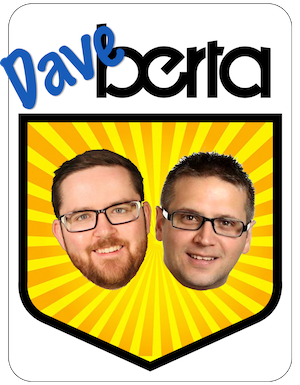 A big thanks to a daveberta.ca reader for passing along this email. This entry was posted in Alberta Politics and tagged Raj Sherman on November 18, 2010 by Dave Cournoyer. Regardless of the topic, or my position on it, I do find it extraordinarily irrepsonsible of you to have posted the email addresses of the recipients. I believe it is a violation of privacy and as such you should change your post immediately, removing their emails from public view. “Feel free to forward to whomever you wish” That statement gives him the right to publish this e-mail. What’s to hide? They were sent the e-mail they didn’t write it? I’m sure this isn’t the last MLA that will create an uproar. The problems are cornering some and frustarting others, no surprise it’s starting to leak. From recent newspaper articles, it appears that Alberta is not alone in this situation. Is it becoming a condemnation of the public system that we as Canadians have held out as a shining example, particularly to the Americans? Perhaps its telling us that there has to be another way. Of course, there was Ralph’s Third Way, but that soon got shot down by a public who thinks that you still have to just throw money at it. Well, we have been across this country, unsustainably so. The symptoms have been identified. What are the solutions? Kudos to Raj Sherman for having the courage to go against the grain. A ridiculous number of top professionals in all walks of life, be it healthcare, education, child services, etc are all far too scared by this government to speak out. That’s the end result of 40 years without a change in power. Anyone left of the PCs shouldn’t fear the Wild Rose for exactly this reason… even if their policies aren’t what you agree with, we are just completely overdue for a change of power… to any other party! Why change when there’s a good thing, Neal? Things are pretty good the way they are. We could have a sales tax like BC does or huge debts like every other province. @ Brian Runge … “Things are pretty good the way they are”. That comment shows me you haven’t had any recent experience with our health care system. I am 29, and walking with a cane, not because of debilitating disease just needing surgery on my ankle has put me in this position. The waitlist in our province is YEARS. I have lost my mobility, my career, not to mention the constant pain. I assure you, you will feel a lot differently when it is YOUR wife, sister, or daughter needing care and they are unable to access it. Thank you Raj Sherman, FINALLY a politician I can respect! Congrats Raj. I am proud of you. Don’t let anyone or anything divert you from the task of making a difference in the long term health care delivery for those we love, and strangers alike. The system has been progressivly declining for so long…..with no one to stand up and tell the truth and be heard. Those of us that have spoke loudly for years do not have the political backing to he noticed.You are making your mark Raj, far more powerful of one than any seat you could hold.Be strong. @ Lindsay – actually I had malignant melanoma and related complications last year. The care was incredible, and a lot better than my family in BC had before. So I say with confidence and experience, things are good as they are. Brian, it is “interesting” that you feel that “Things are pretty good the way they are” in Alberta under the PC party. Are you aware of some of the legislation that the PC’s are trying to bring into law? Are you aware of bill 50 which in their own words “will extinguish the rights of property owners” if the “government” deems it necessary? Do you actually feel that allowing 5 years to “fix” the current state of health care is reasonable? What about all the broken promises around taking care of the homeless or all the bed closures at hospitals all around the province? What about the FACT that there is 1 manager for every 3 workers in the health care system? Isn’t that a little bloated at the top end? The entire system that the PC’s have built over the last 40 years is a mess and this province needs a new governing party with fresh ideas and fresh people to push new agendas that are FOR the people. I say the demise of the PC Party is long overdue…and although I’ve voted for them the last 8 elections, it will never happen again! @ Rick N – you make my point further that it was a good idea to go to one board to reduce the amount of managers. About Bill 50, I support it for the simple reason that our power transmission is aging (some close to its life of 50 years) and we need a better power infrastructure to handle the increased population and economic growth in the province. All and all we have a pretty good government. The only major gripe I have about the PC government is that stupid Bill 44, but I’ll be voting PC next time even though I voted WAP last time. The power tarnsmission deal is a scam. It’s a way for the government to use public money to build infastructure so private comapnies can make huge profits from selling power to the U.S.. This government only looks out for themselves and their corporate benafactors. Voting for the PC’s is a foolish thing to do. This is a government that is past it’s expirey date. Actually that would be “expiry”, not “expirey”. We’ve got good government here and I regret not voting PC in 2008. Well, you are certainly among the many brain dead PC voters, that actually enjoy welfaring out your tax dollars to PC’s so that their donors can mint money by building infrastructure from your tax dollars. If that sort of thing makes sense to you, while your mother or son dies in the ER, or suffers, you have broken roads and no healthcare, you go ahead and keep busting your chops to subsidize billionaires from your broke axx. They will keep you broke, keep royalties low and give welfare to utility companies and feed you horse crap about there being a budget deficit, while we are an energy power house, you tell me, WTF is all the money going? Please help: I have been on a wait list (spring of 2008) to get two knee operations. I feel that is a bit long. (My first family physician has died and the first knee specialist had to quit due to a heart attack.) I no longer have any one to do any knee surgery. We need more doctors and nurses on the front line. These people are reaching retirement age,their tired and like all of us they are suffering from the stress of their work. This system is not being run properly. I am very afraid that my present family doctor is soon going to quit under the strain. I am hoping that you will keep the pressure on the present Government to get its citizens the proper care they need. My second concern I am writing about is the Tory Government allowing all the electrical companies to up their rates by 50%. Why? The company I deal with charges 61% in administrative fees, a further $6.00 just to stuff each bill and then of course my use of electricity. My bill for the priviledge to use electricity in my home will probably top $200/month. I live on a set pensioned income. Every year, I get a raise of $1.32/month. How does that in any way help pay for all my rising utilities bills, my mortgage, my food and gas in my car?